I love surprises. 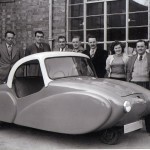 Everyone loves surprises…And what a surprise it was when I heard directly from the first woman to participate in the build of the first fiberglass production car in Britain – Margaret Woolsey. 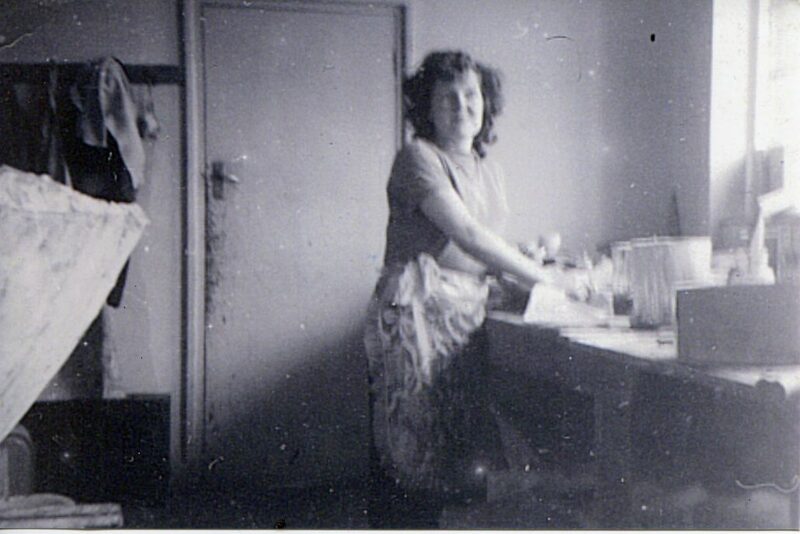 Born and raised in Scotland…..Margaret was a spry 28 years old when she left the Woman’s Royal Air Force in 1953. During this time, she spent 14 months in Egypt in the Suez Canal zone (she rode camels there and won a rifle shooting competition there too!) and 10 months in Iraq – 60 miles from Bagdad. She had spent nearly 5 years in their ranks in postwar Great Britain in a equipment section provisioning what was needed by the military. After leaving the military in 1953, she needed a job. Postwar Britain was still recovering from the after affects of World War II so any reasonable job would do. So when she heard of a job opportunity, she headed to Hordern-Richmond, an aircraft and aeronautic equipment company, expecting to find work and stay employed. But what kind of work would she get??? Boy was she surprised! Her first month was spent learning more about the company and working in different parts of the organization as they determined where she would best fit. During this time she did finishing work on propellers, small bi-planes, and other interesting projects. Then, toward the end of her first month of work, Margaret was brought to a new workshop for a project that was being kept as secret as possible. 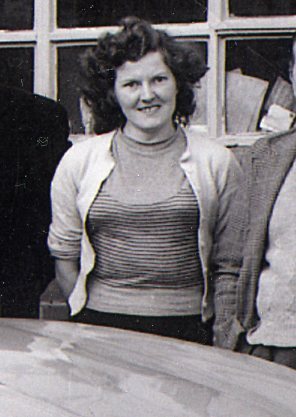 It was here that she found out that she was going to produce the molds and fiberglass panels for the first fiberglass production car in the UK. 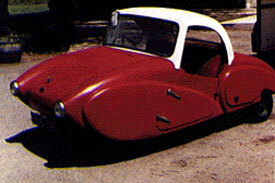 Back in 1953, Sydney Allard hoped to capitalize on the microcar market growing in postwar Great Britain. 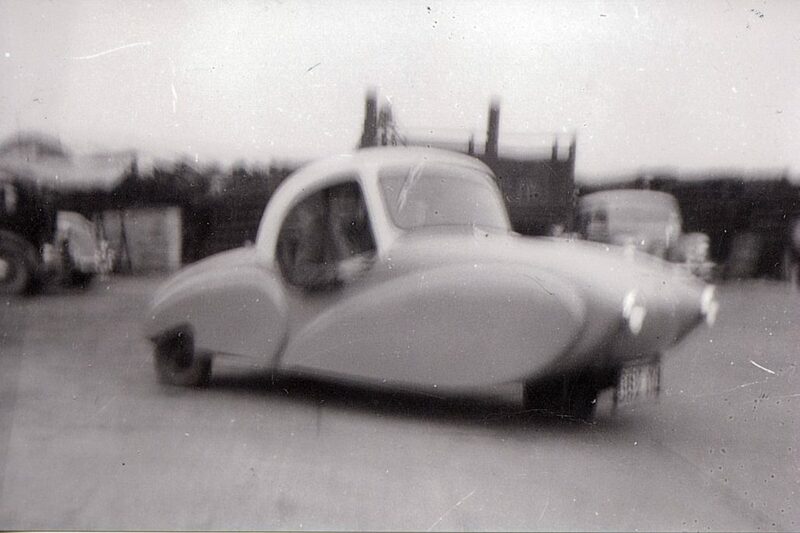 Margaret says the Allard Clipper was going to be one of the first affordable family cars in the UK. 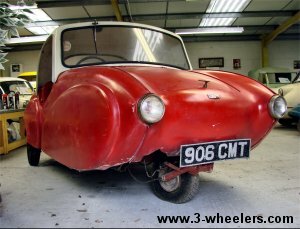 There wasn’t alot of prosperity in postwar Britain, and this car could be a solution to low-cost family/working class transportation. Margaret worked with an engineer and made the molds for the car. This was an iterative process and time and time again the molds were revised until they got the shape just right. 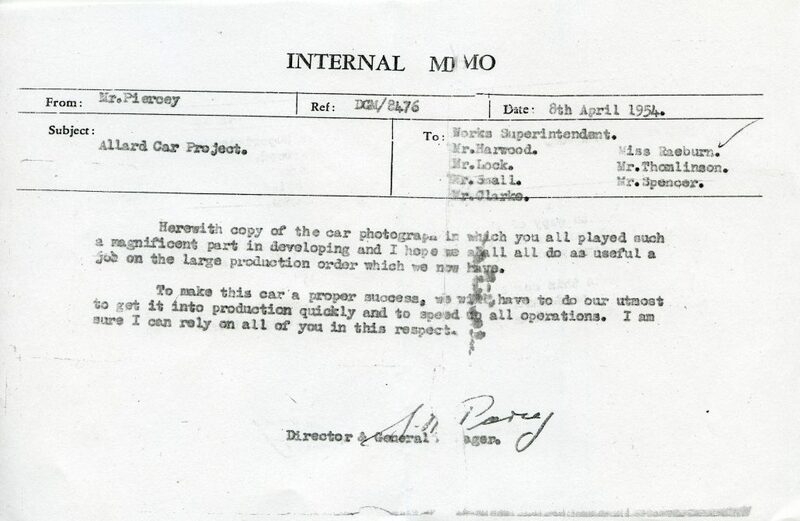 You see, they didn’t take the molds from an existing full size mock-up of the car – which is what was typically done. 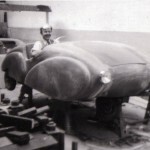 Instead, they created the molds one panel at a time, and built the car panel by panel. A very laborious process! One of the picture below shows Margaret at work at the bench, mixing the resin and materials needed to layup the fiberglass in the mold. She tells me “I itched like mad with that fiberglass – every single day!”. 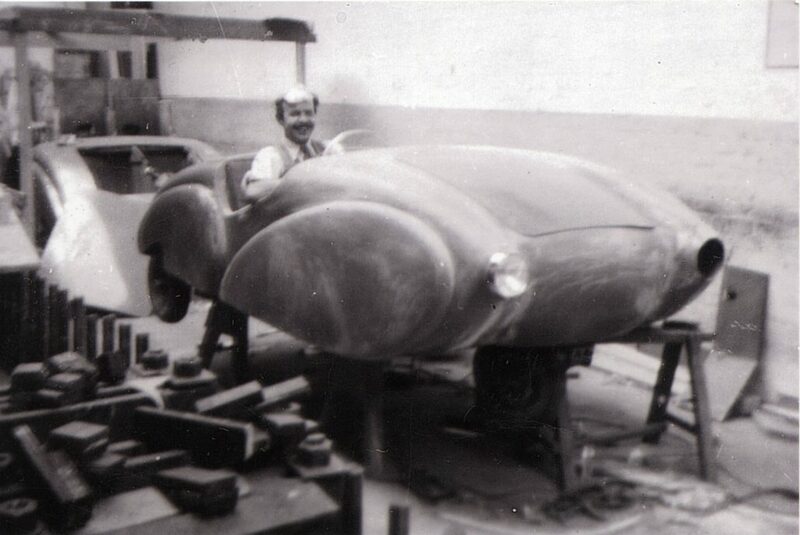 After the molds were complete, she hand laid the fiberglass producing panels for the first car. These were then assembled and bonded together forming the final body for the car which was assembled by the remaining team. 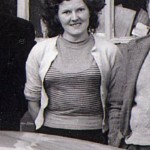 Margaret worked on the prototype car only, and did not work on the next 20 or so cars that were built. 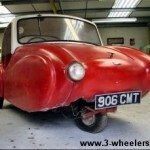 Interestingly, she never did get a chance to ride in one of the cars or has seen any Allard Clippers since. Margaret continued working for Hordern-Richmond for a few months and later in 1954 she moved near London and worked in an office. 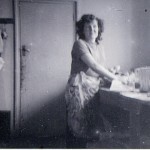 In 1956, she moved to Ontario Canada, and has remained in Canada since. Margaret married in 1965, and now (2009) lives an active and productive life in Calgary in Alberta Canada. Active you say??? Well she contacted me via e-mail and sends me links to view on the Internet as well. I wish many of my friends used the computer as well as she does! Margaret has not returned to the UK since 1956. 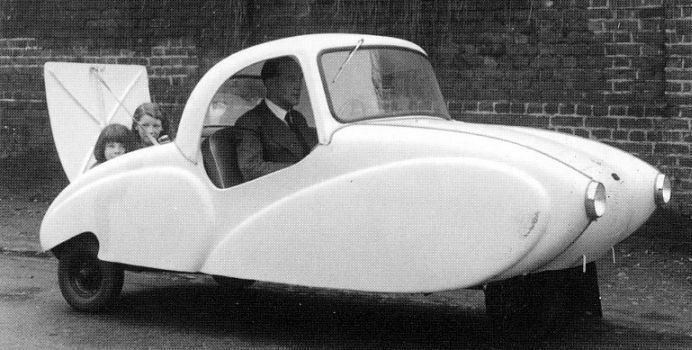 In 1953 David Gottlieb’s Powerdrivecompany needed someone to manufacture their new three wheel car which was to became the Allard Clipper. A separate company, Allard Clipper Company Ltd, was formed. 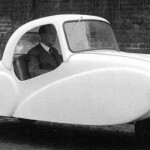 Engineer Gilbert Jepson constructed a prototype chassis incorporating many commonly available parts. 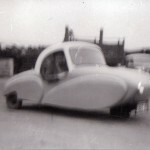 A Villiers 346cc single-cylinder engine drove the left-hand rear wheel and Hordern-Richmond of Haddenham made the fibreglass body. 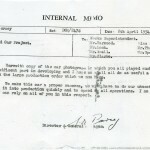 The first bodyshell was received on the 19th March 1954 and by 15th April the first car had been registered and licensed. 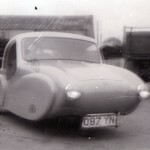 This car became Allard’s test bed. The production Clipper had two seats with a dickey seat. By early 1955 Hordeen-Richmond wanted to charge more for the bodies and the non-arrival of a body on 24th June 1955 seems to have hastened the demise of the Clipper. 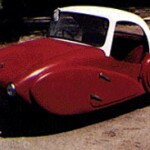 Of the original intended run of 100 cars, only 22 were completed. Two are known to have survived, one in Germany, one in the UK. 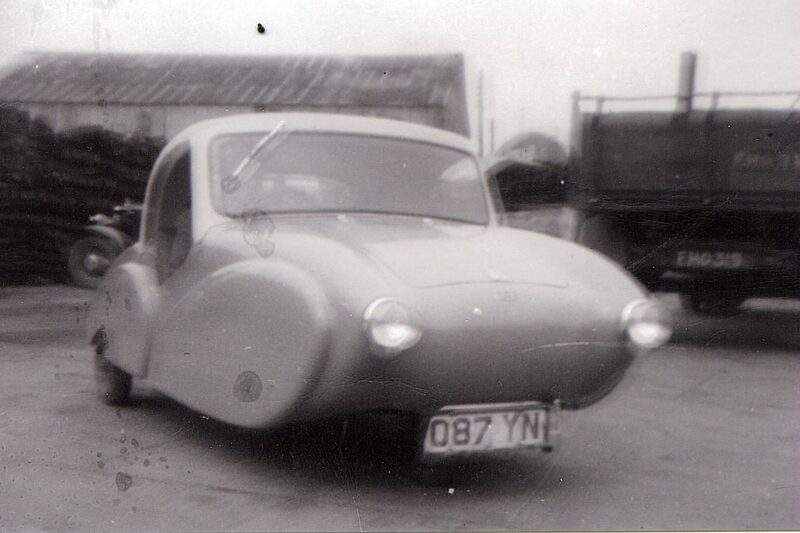 Several websites document this being the first production fiberglass or plastic bodied car in the UK – perhaps Europe. 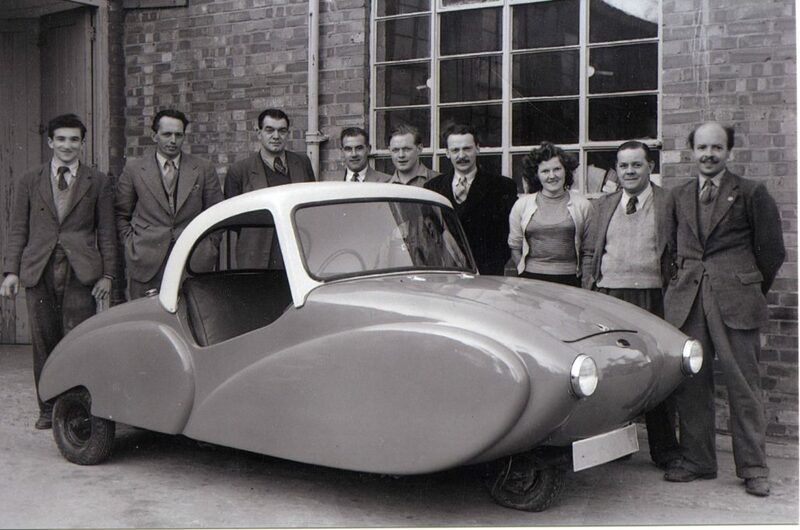 This may make Margaret Woolsey the first woman in the world to be a part of producing a production fiberglass automobile. I may need to research this a bit more but it seems plausible. Perhaps our UK friend, Rob Daniels, can help. Margaret believes that Hordern-Richmond was directed to make the bodies because they were the only large scale firm working in fiberglass in the U.K. at the time. My thanks to Margaret Woolsey for her help with this story. 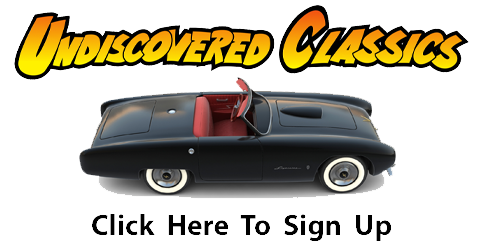 Her story is one of the many wonderful facts that populate the history of the cars our group has come to appreciate world-wide. Note: The factor claimed that the Allard Clipper could seat three people abreast with room for two children in the optional dickey seat.